Keeping up with our previous coverage of scaled Agile approaches, this time we want to bring Disciplined Agile Delivery otherwise known as DAD to your attention. Like other similar frameworks it focuses on bringing the small scale practices into the big leagues and on shaping them to fit the new rules. Compared to previously discussed SoS, LeSS and SAFe, DAD is less descriptive and requires more Agile knowledge, however it allows for far greater flexibility within the team. So will you be scaling with DAD? 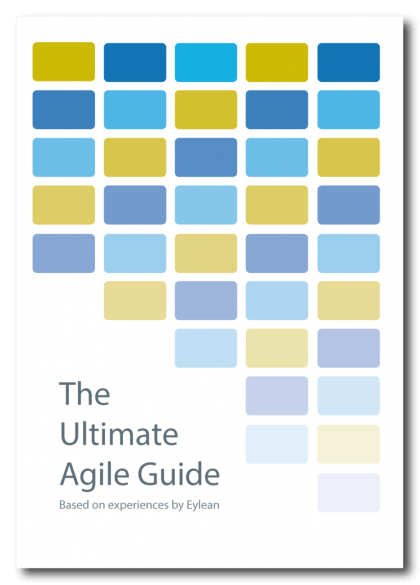 The framework known as DAD was first mentioned by Scott Ambler and Mark Lines in their book by the same name – Disciplined Agile Delivery. It was designed as a way to move past Scrum while the wholesome view and approach allowed teams to grow from small independent groups into large organizations. To do so DAD expands the view of Scrum from only looking at making and delivering a working product into controlling the full lifecycle. Such overlook allows not only to execute the planned sprints, but also to make sure the team stays on track of the overall vision and does not weir off the track. The results are achieved by running projects in iterations of three phases – Inception, Construction and Transition. DAD realizes that in order to execute work, certain amount of planning regarding the overall vision needs to happen first. For this purpose the Inception phase is added and designated to be the first one in a DAD iteration. During this phase the team completes all of the planning required for the following iteration, keeping it as light weighed as possible and thus staying within the Agile mindset . This allows for the team to take some time and think about what needs to be done instead of just completing the assigned work blindly. Before starting to work, the team also has to get the stakeholder consensus. What this means is that the planned work is shown to the stakeholders which have to approve that the plan makes sense and adds value to the end product. This simple check before each iteration, allows the team to stay on top of the most important things and to manage stakeholders expectations more easily. After the planning is complete and the consensus received, the team moves onto the next phase called Construction. To put it simply, this is where the work actually gets done. The teams are free to choose from Scrum, Advanced Lean, Continuous Delivery or Exploratory lifecycles, based on their preferences and project specifics. While the phase itself can be consisted of as many iterations as needed to deliver the result that is ready to go live. To make sure this phase runs smoothly, a couple of checks are required to be completed. First one is Proven Architecture and is performed by the Architecture Owner on the team. This new team role found in DAD is responsible for ensuring that the work getting completed in each iteration is not only the flashy stuff desired by the client, but also the tricky parts that are essential to final project success. Thus ensuring that the project will actually be completed successfully. Another check performed several times during this phase is Project Viability. Since this phase is usually more than just one sprint and can last up to ten of them sometimes, there needs to be insurance that the project team is staying on track and completing the work that is the most important for the client. Therefore the Viability check is put in place and monitors whether the team is sticking to the plan and whether the client hasn’t changed their requirements. Lastly, at the end of this phase a go/no go check is performed to see if the team has a minimum viable product and can move onto presenting it to the client. If the go decision is made, the team moves into the third and final phase of a DAD iteration – the Transition. Usually after presenting the finished product to the customer, minor alterations and modifications need to be done. This is what DAD refers to as the transition phase. Instead of adding the fixes into a completely new iteration, it sees them as an inevitable extension of the current iteration and simply extends it. The transition phase can consist of one or several iterations and is completed only after the customer is completely satisfied with the final result. The best thing about DAD is the ability to choose the lifecycle type that works best for your team and your project. It gives you power to work in the most comfortable environment and enables the team to achieve the best results. However, it is important to keep the integration and communication strategies consistent amongst all of the teams to make sure they can stay on the same page. While DAD can be tricky for those that just started doing Agile or are transitioning from the traditional project management approaches, it is a great option for those that are craving more freedom and lack it in the other scaled Agile frameworks.